So there’s a state of emergency over most of the east coast because of the storm we’re experiencing. 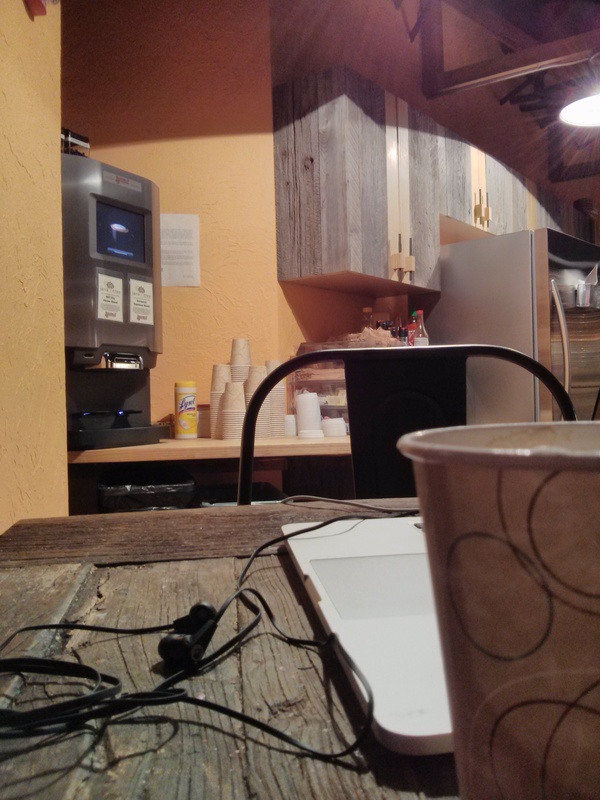 It’s not a fun time to be living in Boston, unless you happen to work right next to a cappuccino/latte/hot chocolate machine–which I do. Becca: 1, Snow Storm: 0. Shout-out to C3 for being an awesome place to work! However, no matter the quantity of hot beverages you may be imbibing this time of the year, storms do have one unavoidable affect–they can cause vitamin D deficiency. Lacking this nutrient is one of the causes of–aptly named–SAD, or Seasonal Affective Disorder (1). You may also be more susceptible to a host of other diseases, including diabetes, psoriasis, gum disease, and even cancer (2). On top of that, British researchers are on a mission to prove that fictional villains really just need more sunshine and fish. In the recently published report, “The Hobbit–An Unexpected Deficiency,” Joseph and Nicholas Hopkinson, of the National Institute for Health Research, Biomedical Research Unit, at Royal Brompton and Harefield NHS Foundation Trust and Imperial College London, analyzed the sunlight exposure and diet of the characters of The Hobbit, by J.R.R. Tolkien, and compared their findings to the characters’ evilness and success in battles. Their conclusion was that the lack of dietary and environmental vitamin D intake caused the troubles of characters such as Bilbo, Gollum, and the Goblin empire. The Hopkinsons also theorize that the Wood Elves are less potent than the High Elves because they dwell in caves, rather than in a sun lit city. The depression, moodiness, and lack of cognitive skills shown by those who dwell in the dark could well be attributed to the lack of vitamin D in their diet. If Smaug would only scoop up some fish, and lay off the virgin maidens, Laketown would get some peace. Looking for scientifically proven remedies to the common cold? Clean the chicken, put it in a large pot, and cover it with cold water. Bring the water to a boil. Add the chicken wings, onions, sweet potato, parsnips, turnips, and carrots. Boil about 1.5 h. Remove fat from the surface as it accumulates. Add the parsley and celery. Cook the mixture about 45 min longer. Remove the chicken. The chicken is not used further for the soup. (The meat makes excellent chicken parmesan.) Put the vegetables in a food processor until they are chopped fine or pass through a strainer. Both were performed in the present study. Salt and pepper to taste. (Note: this soup freezes well.) Matzoh balls were prepared according to the recipe on the back of the box of matzoh meal (Manischewitz; Jersey City, NJ). 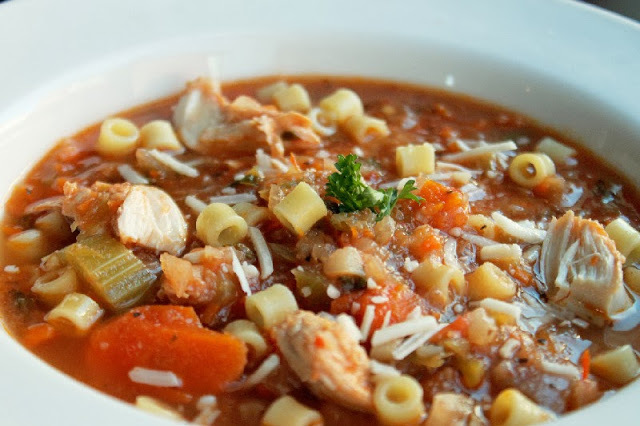 They found that chemicals present in all of the soups (Grandma’s Soup, as well as the 13 brands purchased at local grocery stores) inhibited neutrophil chemotaxis. Another study compared the ingestion of hot water, hot soup, and cold water when you have a stuffed up or runny nose. The hot water and the soup both had an affect, as the water vapor (steam) inhaled while consuming them helped decongest for about 30 minutes. The soup had a more pronounced effect than the hot water, however–the researchers theorized that there was a physical reaction to the presence of flavor (which also explains why tea can be useful). Now that I’ve convinced you, onto the recipes! I like to think that I eat fairly healthily, especially compared to the norm. I try to keep my carbohydrates low, eat plenty of vegetables, and always have a bottle of water handy. There is one questionable substance I allow myself without restriction, however: sucralose. I’ve realized this lately, and am attempting to cut down, but it’s made me curious about just how dangerous fake sweeteners are. Most Americans and Europeans regularly consume “fake” sweeteners on a regular basis, either on purpose (in baking, coffee and tea) or unintentionally (in reduced fat foods, and even some medications). They’re a welcomed loophole for those looking to lose or maintain their weight, and keep their blood sugar stable. But are they safe? It Causes Cancer! … It Might Cause Cancer! … Male Lab Rats Are Prone to Cancer! It seems that the best argument those who oppose sweeteners have is that aspartame, saccharin, and sucralose are all carcinogenic–they cause cancer. But do they really? The newest study to come to light was in June of 2013, when Italian scientist Dr. Morando Soffritti fed male lab rats “varying” levels of sucralose throughout their lives. This study is still under peer review, and has caused quite a bit of controversy in the scientific community. (1) It contradicts the 2000 study which concluded that the substance posed no threat. Both studies were carried out on lab rats over a significant portion of their life span. The scientific community, so far, is disregarding this study as “bad science,” however. Read the full story here. It seems that this Dr. Soffritti has been under review by his peers for less than perfect performance in the past, so for now, the consensus is that sucralose is safe for consumption. This is only the most recent of many almost identical situations for artificial sweeteners. In the 1970s, the oldest sweetener, saccharin, came under fire when scientists found that lab rats fed the substance developed bladder tumors. Upon further investigation, it was discovered that the specific way rodents metabolized saccharin was causing the problem, and that humans would not suffer the same consequences. Warning labels were removed from Sweet’n’Low and Sugar Twin by 2000. 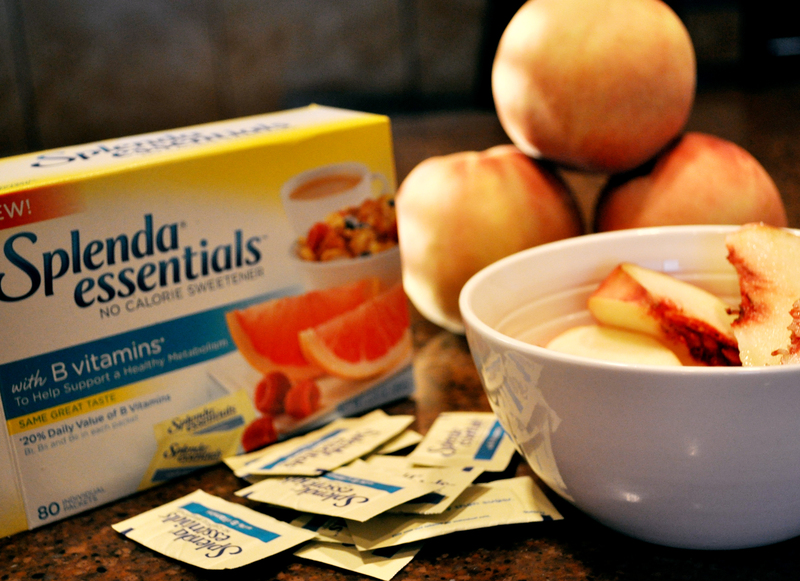 What About Natural No-Calorie or Low-Calorie Sweeteners? 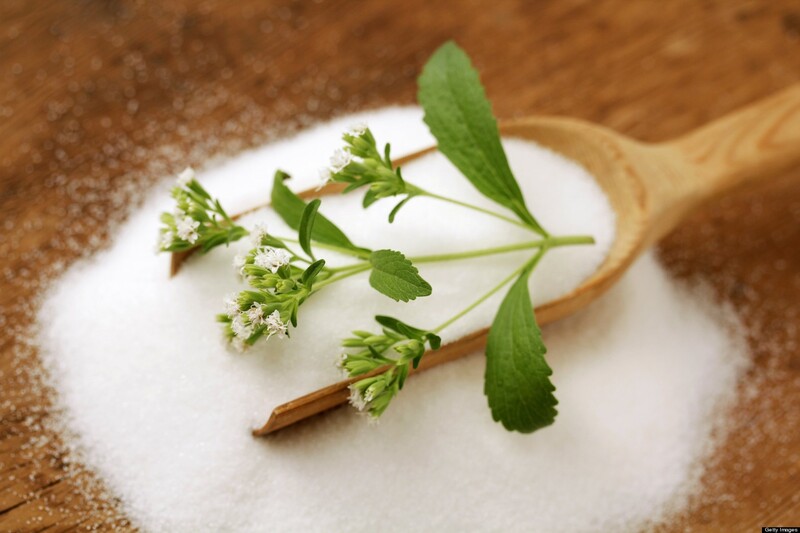 When you think of “natural low calorie sweetener,” how many of you think of Stevia? Oh, looks like most of you. Erythritol, however, seems to be the one golden angel of the bunch. This chemical has never been accused of being harmful–in fact, it’s only fault is being a sugar alcohol. No, it doesn’t get you drunk; being a sugar alcohol means that a fair amount of the population (about 40%) will get a blood sugar spike from consuming it, though smaller than if they were consuming regular sugar. Also, all sugar alcohols (xylitol, maltitol, and sorbitol are some of the more common ones) cause many consumers intestinal discomfort, so make sure you keep track of how much you eat in one serving, and per day, or you may be in for a bad time. So What Am I To Nom? Because artificial sweeteners are still under review, it’s hard to say what the future brings. However, at this time, it looks like all commercially available low or no calorie sweeteners are safe for consumption–in moderation. Keep track of how much you eat a day, and take note of any weird symptoms or discomfort. Your body will tell you what’s best! What sweetener do you use? Cooking oil is a ubiquitous pantry item, no matter what your diet–high-fat, low-fat, vegan, and paleo eaters all need it. This isn’t a bad thing, as fat is vital to the proper functioning of the body. However, unlike in the days of your grandmother, when there was butter, olive oil, canola oil, and maybe one other fancy shmancy oil for special dressings, the modern grocery shopper has their choice of a dizzying array of liquid lipids. I’m giving full credit to theconsciouslife.com for this chart. It’s fantastic and I immediately recognized that I could not do better at this time. Smoke Point: The temperature at which a cooking oil starts to burn and produce chemicals that are potentially harmful. Science tells us that no matter what your budget, or how delicious butter is, it’s really important to balance your omega-3 and omega-6s. What are these silly things? They’re essential polyunsaturated fatty acids, and are crucial for proper brain and body function. Though omega-6 is necessary for a brain function, hair and skin growth, bone health, regulation of the metabolism, and maintenance of the reproductive system, too much can cause inflammation. Most Westernized eaters consume far too much, which leaving out it’s counterpart, omega-3 (which cuts down on inflammation). This lack of balance has been been blamed for a host of common 1st world diseases, from dementia to Complete Regional Pain Syndrome. Omega 9, the fairly new kid on the health awareness block, is equally important for hearth health and blood sugar control. This omega is also likely to increase your metabolism with consumption, and improve your moods. It’s most likely found hanging out in canola oil, nuts, and avocados. 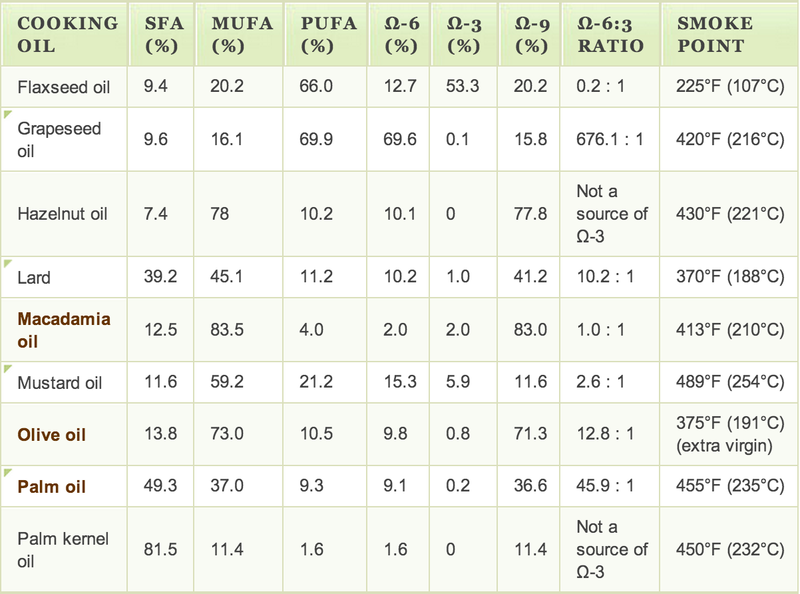 The bottom line: you’re probably getting enough omega-6, so it’s a good idea to focus on getting more omega-3 and omega-9. When an oil starts to smoke, it means that it’s breaking down. 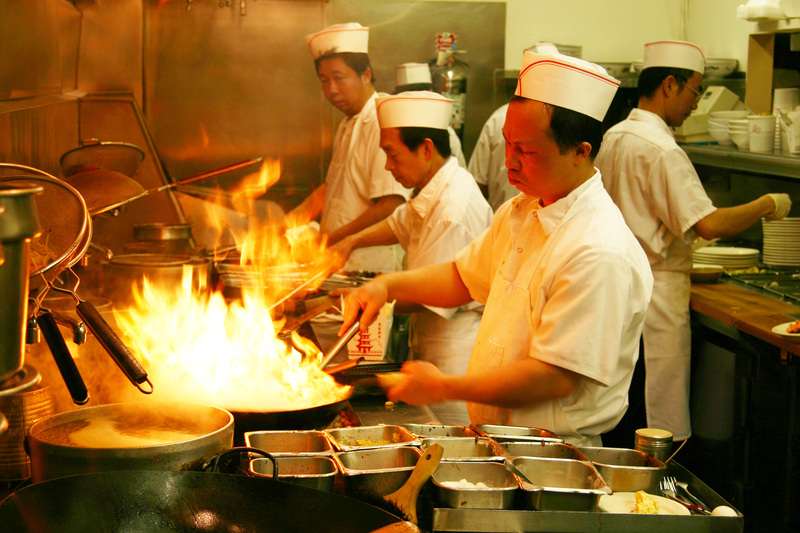 What that means for you, as a chef, is that if it gets any hotter, your food is not going to taste very good, and you’ll some of the health benefits from your dish. Lastly, the blueish smoke you see rising from your dish is made up of acrolein, which can really do a number on your eyes and throat. If your pan starts smoking, turn off the fire, turn on a fan or open a window, and give it some space to cool down. 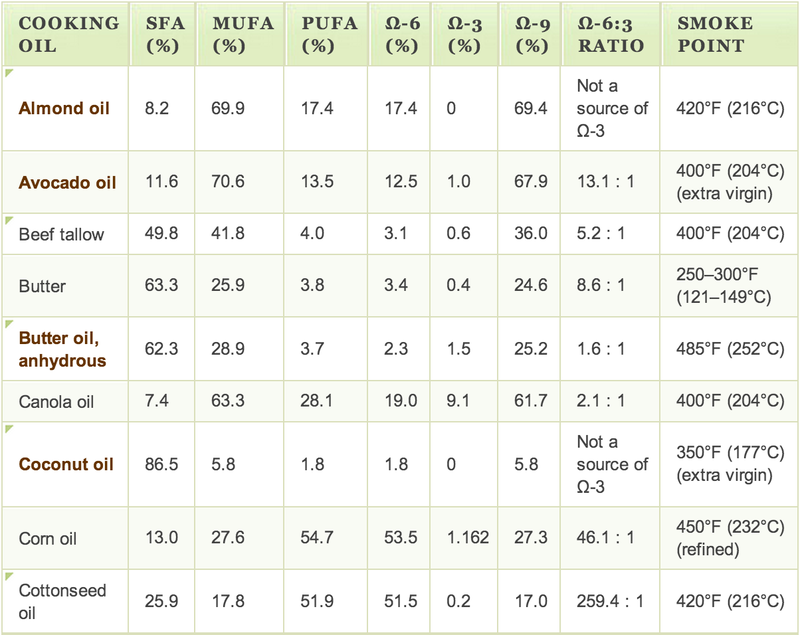 In general, for high heat operations, such as sauteeing, deep frying, or grilling, you’ll want to use vegetable oils. The main exception to this rule is hydrogenated vegetable shortening. The only animal fat that is suitable for this kind of operation is ghee, or clarified butter. 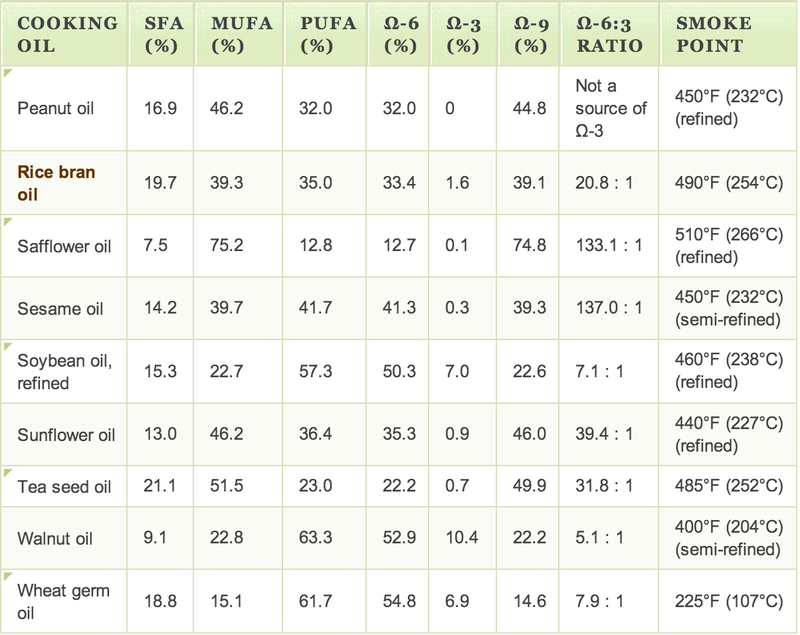 Lower smoke point oils, such as coconut and oil, are great for everything from coatings to salad dressings. Their more pronounced flavors will lend that special flare to your dish, without you having to worry about losing them to the heat of cooking. What oil is your favorite to use? Do you have any unique oils in your pantry? I suffer migraines often, as does over 13% of the American population. They’re classed as one of the most disabling chronic illnesses, with more than 90% of sufferers claiming that they miss school or work when experiencing one. Given that these attacks have plagued me since I hit puberty, I figured I should educate myself on them–hopefully you learn a few things as well! What’s Going On In My Head? Changes in the brainstem that affect how it interacts with the trigeminal nerve, which is one of the most crucial pain pathways. What is known is what the mechanical affect is. During a migraine, the temporal artery (the one that runs across your temple), one of the major arteries for your head, enlarges. This causes a rush of chemicals that trigger inflammation, pain, and–in an evolutionary fluke–further enlargement of the artery. Extreme, aching pain that seems to originate from the temples and radiate around the head. Decreased blood pressure, which causes cold hands and feet. Sensitivity to light and sounds. You probably want to be somewhere dark and quiet, even though it doesn’t make you feel better. Intestinal distress, such as vomiting, diarrhea, and general discomfort. These two amino acids are found most abundantly in chocolate, aged or fermented cheeses such as Brie, cheddar, and “moldy” varieties, citrus fruits, vinegar, nuts, and soy products. (3) Since that most likely eliminates many of your favorite foods, make sure to document what you ate right before your migraine started so you can narrow the list down. If this is true for you, be careful of eating leftovers. Tyramine content increases over time, so try to only store foods that don’t have to be in air tight containers, and be wary of situations where food has been left out for a while, such as parties and office snacks. Lastly, many alcoholic beverages, such as beer, red wine, sherry, and vermouth contain copious amounts of the chemical, so try to find alternate adult beverages for partying without the pain. More on boozing further down! Coffee, tea, energy drinks, and even some dark chocolates can start the aching for some. These two belong together, as boozing is one of the few times where the more you empty your cup, the most dehydrated you are. Alcohol itself may be your trigger, but before you convict this culprit, try alternating alcoholic beverages with tall glasses of water. Tea, red wine, and red fruit (apples, pears, and grapes all qualify) and their juices can all cause migraines. If you frequently suffer after consuming red or purple foods or beverages, this may be your prime suspect. Nitrites, nitrates, and sulfites have all been guilty of causing migraines. These chemicals are doing your body no favors. Be wary of hot dogs, deli meats, dried fruit, and, one more time, wine. That cute little pink envelope by the coffee doesn’t look so friendly when you suffer from migraines. Check labels when you chose to drink diet beverages, light yogurts, or anything labelled “sugar free” that still tastes sweet. As if you need another reason to hate these days of the month. Strong perfumes, flickering lights, and excessive stress can all be triggers. It’s important to keep a diary of when you get migraines, and narrow down what causes them. This will help you avoid them in the future. The triggers listed are only the most common, you may have something else to blame, such as medication or certain physical activities. The best way to treat migraines is to prevent them as often as you can. Find out what your triggers are, and avoid them! Even if it’s chocolate–it’s really just not worth the pain. Cardiovascular drugs such as beta blockers or calcium channel blockers. Tricyclic antidepressants or selective seratonin reuptake inhibitors, as they can help regulate your seratonin. Anti-seizure drugs such as Depacon and Topamax have been shown to reduce the frequency of migraines. These drugs have some serious side effects, so it’s recommended you only take them if you absolutely must. Botox injections in the muscles of the head and neck have been shown to help lessen the effect and frequency. Anti-inflammatory drugs such as naproxen may help. If you can take pain medications right when you’re feeling the beginnings of a migraine, they’re more likely to work. NSAIDS (Advil, Motrin IB) are hit or miss. Acetaminophen (Tylenol) helps some but is less likely. Drugs marketed as specifically for migraines, such as Excedrin Migraine (this one is my personal favorite), help for mild to medium severity attacks, but don’t do much if you wait to take them. All of these medications lead to stomach complications if taken too often. Triptans, which constrict blood vessels, have been proven to help end migraines sooner, and manage pain. There’s several side effects, however, and they are not recommended to those who are at risk for stroke or heart attack–if you have high blood pressure, don’t take these. Dihydroergotamine (Migranal) is an ergotamine derivative with less side affects. It’s available as either a nasal spray or injection. If you can sleep, do. It’s one of the best ways to cure a migraine that doesn’t come in pill form. Do you have any tips, tricks, or anecdotes you’d like to share about your migraines? Do Detox “Cleanse” Diets Work? If you rounded up a group of people who had 10-20 pounds they were trying to lose, “do you wish you could lose it in a week? How about less than a month?” I guarantee you every one of them would answer yes. This is the offering made by every detox cleanse diet. These “fad” “crash” diets have been made popular by celebrities, who face considerably pressure to make their body fit the director’s description of various characters. Beyonce made the “Lemonade Cleanse” famous when she lost 20 lbs in preparation for Dreamgirls. After shooting was over, however, she regained the weight rather quickly (Yahoo)–in general, we only see the dramatic losses, not the eventual regains in weight. Are cleanse diets really worth it? Do they really “detoxify” your body? What is a detox diet? It seems that almost every “detox” diet has a different definitely of what it truly means to “cleanse.” As a general rule, diets that claim you cannot properly cleanse your cells without their specially formulated product are probably not worth your while. Common sense dictates that if it’s something we need to do, then what we need to do it must occur naturally, not require a laboratory for manufacture. Essentially, if you’re looking for a diet that will “cleanse” your system, pick one that is either a water fast, or requires only a variety of produce to do. The benefits of a diet such as a water fast, a juice fast, or eating only raw produce for a period of time are very similar (or identical, in the case of water fasting) to that of any kind of fasting. These benefits will also be seen in a “detox” diet, as they almost unanimously lower calories into the realm of a “partial fast” (under 600 kcal a day). Detox diets also remove junk food, psychologically reactive chemicals (such as alcohol and caffeine), and most–if not all–of the more difficult to digest foods, such as fibrous produce, meat, and fat. Perhaps the most logical reason that dieters feel “clean” during and after “detoxing” is that by removing most or all of their food sources, they also eliminate possible allergens, or foods that they are sensitive to, such as wheat, soy, lactose, eggs, and peanuts (as well as many more uncommon sources of irritation). If you’re experimenting with detoxing and feel less enflamed (not to be confused with bloated, which is caused by excessive sugar or salt, but not an usually by an allergy) than you did previously, they would be wise to experiment with removing single ingredients from their diet to expedite the process of finding what food is causing discomfort. Reducing your calories should be approached cautiously, especially when under 800 calories. Your blood sugar will most likely drop drastically, which, depending on your current health, could lead to extreme fatigue, dizziness, and possible faintness. If you begin this diet, start on a Friday night, for a weekend that is free of plans, especially those that require cognitive skills and driving. Also, expect to spend a considerable amount of time in the restroom, as many “cleanse” diets are made up primarily of laxatives and diuretics. Overall, detox and cleanse diets can have a similar effect on your system as a prolonged fast, either traditional or modified (under 600 calories daily). However, if you’re feeling “toxic,” there is absolutely no scientific proof that these regimens will have any effect. Your body already has a fantastic waste management system, in the form of your kidneys, liver, intestines, and cardiovascular system. Have you ever done a cleanse diet? Do you know anyone who has completed one of these regimens? Have you ever been tempted to try one? There are a lot of misconceptions out there about wellness, mainly because the industry lacks regulation. I’d like to address some of the more common health and fitness myths and misconceptions here, in several parts. If you have a question you want answered, leave it in the comments! This one is by far my biggest pet peeve. Products like Special K cereal, Body by Vi, SlimFast, and many others rope in unsuspecting customers by claiming that their product has a unique property that will make “the pounds fall off!” Guess what that special property is? The thing you’re replacing a meal with is only 100-200 calories. You would get the same effects replacing a meal with a cup of coffee with cream in it, a small piece of cheese, or a piece of fruit, without your wallet also shedding some weight. I’ll save you the “discussion” and just link you to my argument for intermittent fasting. Basically, there is no proof that eating 6 tiny meals a day (for someone maintaining an 1800 calorie diet, 6 meals would be a measly 300 calories at a time) is any better than eating one massive meal. In fact, there’s a strong case for the latter. It’s true that you’ll burn more fat proportionally while you exercise, but when you get your heart rate up (over 170) you increase your metabolism for hours afterwards. Eating fat is an essential part to any healthy diet. Not only is it necessary for absorption of many vitamins, but it also helps regulate your mood, keeps you satisfied for longer after a meal, and actually lowers cholesterol. Dr. Bouchard taught us in 1990 that everyone gains and loses weight at different rates. It’s fine to take pointers from others’ success, but don’t expect the exact same results–you’re a unique human being, and your body processes energy in its own way. Are there any weight loss myths that bug you? What weight loss tip seems like pseudo science? Sleep: every single creature does it, it takes up about a third of life, if we skip it just for one day we lose the same amount of mental function as being legally drunk, and scientists don’t know what it really does. In it, Russell Foster explains that sleep is not “an illness that needs some sort of cure,” but rather one of, if not the most important behavioral mechanism that controls us. Though no one knows definitively why we do it, science does know that it is tied to memory consolidation and problem solving, and without it, we become stupid. Lately, however, sleep deprivation has become somewhat of a thing to be proud of. I’m sure we’ve all witnessed (or been guilty of) bragging about only getting a few hours of sleep and then going to work or school the next day. The braggart may have gone, but were they anywhere near as productive? Depriving yourself of sleep wreaks havoc on both the mind and the body, yet it’s become a norm in Western society. But what are the effects? Does sleeping 6 hours a night sound fairly normal to you? Perhaps the effects don’t seem that bad, you’ll catch up on the weekend…right? A study by Van Dongen showed that though the effects seemed benign, restricting sleep to 6 hours or less a night over 14 days reduced cognitive ability to a level similar to skipping two days of sleep in a row. However, participants did not rate themselves as feeling impaired, which is why it can seem fairly harmless to consistently restrict snooze time. Sleep is also a prime time for the formation and cementing of memories. In a Q&A session following the above presentation, Foster also explains that regular trouble sleeping can be connecting to a variety of mental illnesses, including depression, schizophrenia, and PTSD. He and his colleagues have found that those who are sleep deprived have much more difficulty remembering traumatic memories than those who are fully rested, and hypothesize that excessive wakefulness may be a natural coping mechanism. As every athlete (at any level) knows, a huge part of exercise performance is based on mental stamina and willpower. The body also needs time to repair itself after heavy exercise sessions, and to be ready for the next physical trials we throw at it. 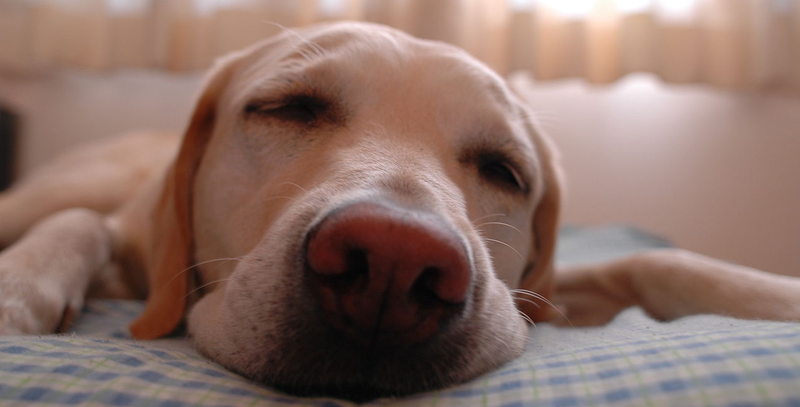 It should come as no surprise that sleep loss has detrimental effects on exercise. In a study that deprived participants of sleep for 36 hours, then stuck those poor souls on treadmills, an 11% decrease in time able to exercise was witnessed, despite a doubling of prize money for completing the assigned goal. Two groups seemed to form: “resistant,” and “susceptible,” with the resistant group losing as little as 5% of their productive time, but the susceptible group losing up to 40% of theirs. When you are sleep deprived, your body starts releasing higher levels of ghrelin, and decreasing leptin. This surge causes you to feel hungry more often, especially for carbohydrates, as they are a quick way to “boost” energy. Make your bedroom as dark as you possibly can. This helps tell your brain that it’s time to shut down. If you can cool down your room, do! It will help you sleep. Spend 30 minutes or so not looking at a screen. Think, talk, and do happy things in the hours leading up to bedtime. It will help you sleep deeper, and will lower the chance of you waking up in the middle of the night. Don’t drink caffeine after lunch time, no matter how tolerant you think you are! Above all, give yourself enough time before waking. There’s no definitive time that adults need to sleep, but we do know that 7-9 fits most of the population. If you need an alarm clock to wake up, you need to go to bed earlier! There are many more effects that chronic sleep deprivation can have, including some very scary statistic on cardiovascular health. My goal for this article was to point out the effects that are more immediate, and therefore, more inconvenient for us in the short term. Hopefully I’ve helped motivate some people to put their phone down and get that extra hour or two of sleep! How many hours do you sleep when you don’t have an alarm set? Do you often deprive yourself of sleep? Why? How do you feel it affects you? How Important is a Good Workout Playlist? Need to go to the gym, but not feeling motivated? Feeling run down by the world? Craving that pre-workout supplement, or maybe having a moment where you considering purchasing some? Science says that you can get similar benefits from your ear buds as from your local GNC. Music, undeniably, affects our bodies production and regulation of hormones, cytokines, peptides, and signalling molecules for neurotransmitters. Our emotions, stress levels, and immune function are thus altered while we listen to those sweet beats (Gangrade). It stands to reason that the right tunes can give us a physiological boost, as well as a psychological one. Techno music, specifically, has been found to cause a significant increase in heart rate, systolic blood pressure, and a raise in emotional state. A 1998 study suggests that 30 minutes of fast techno music would out perform many pre-workout supplements, by boosting not only your heart rate and blood pressure, but also by increasing your endorphines, GH, and noripenephrine by about 50%. What if you don’t like techno? Don’t listen to it! Being subjected to music you don’t like can make you feel tired faster, and raise your perceived exertion without any actual increase in heart rate(Nakamura). You’ll get similar benefits by listening to any music that syncs with your heartbeat. As you exert yourself further, you’ll get more bang for your [heart] pump by listening to music that matches the tempo of your body (Karageorghis). I’m a huge fan of Steady130, a site that creates monthly original mixes and organizes them by beats per minute. They have a few different genres of songs, and I either stream them from my phone or download them (depending on how reliable the WiFi will be where I’m working out). If you want to look up the beats per minute of any song, check out songbpm or runningplaylist. Do you run to music? What kind of music do you perform cardio to, vs. anaerobic (lifting)? I would class myself as a runner. A slow runner, but a runner. I only recently broke a 30 minute 5k, so I’m by no means a speed demon, but as we learned from the video yesterday, women aren’t meant to be that fast…right? Regardless, running is my therapy. It’s what I feel like I need to do when I’m overwhelmed with the world and all I want to do is hide. It seems that if I run long enough, any problem can be solved, any load can be lightened. I also want to run when I’m feeling particularly happy and engaged. I am guilty of being a “drunk sprinter,” and I think it’s because my body knows that I’ll feel awesome if I run, even if it’s down a bar crawl street in boots. Regular runners call this the runner’s high, others who engage in cardio that isn’t running may call it exercise high. But what is it, really? According to research done by Raichlen and Affiliates at Arizona University, at a certain level of intensity (usually around 20-30 minute of moderate to intense effort for humans) cardio exercise has an affect on endocannibids, which play a significant part in our moods by signalling the production of endorphins and canniboids. The “high” is partially the pituitary gland sending out endorphins to help your body push through the pain when you have maxed out your muscle glycogen stores and switched to anaerobic activity (fat burning instead of glycogen burning). However, endorphins cannot get through the blood-brain barrier, and therefore can only be responsible for the lack of physical discomfort, and natural pacing rhythm achieved. The canniboid anandamide, however, can and does get through the blood brain barrier, and is released when the CB1 receptor is triggered by those handy endocanniboids I mentioned earlier, which are released during prolonged physical stress. How Long Do I Have To Run Until I Like It?! This is different for each person. The mechanism of runner’s high can be simplified to bustin’ A hard enough for long enough that your body releases morphine to help your muscles keep moving. Timing it seems to be a matter of how hard you’re willing to work–the slower you go, the longer you have to wait. However, the “golden” advice I have heard time and time again is “30-60 continuous minutes of working.” If you’re not there yet, I highly suggest either C25k training, or just starting with what you can do and working your way up (worked for me!). If you’re an experienced runner, but perhaps not getting the same “high” as before, try varying the speed of your runs, doing a fartlek run (you have no idea how many puns I have to put up with), or perhaps trying hill sprints to get that same glow going. Have you ever had an exercise induced feeling of euphoria? Do you do cardio regularly? Why? If you’re a LCHF runner, do you get a runner’s high really quickly? Because I certainly do… and now I know why!